You don’t have to rob a bank to hit the mother lode. 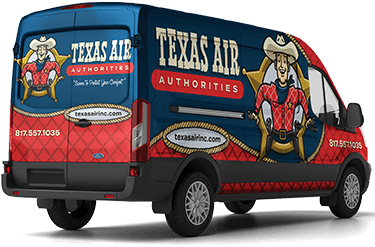 At Texas Air Authorities, we understand that every penny counts when you’re managing a household or a business. We provide money-saving deals that are easy on your budget. When you sign up for our Newsletter, and your next service or installation is $100 or more. New customers only. Must present coupon. Present this coupon to have one of our certified technicians diagnose your air conditioning problem. Present this coupon to get a tune-up on your A/C so you can make your home more energy efficient today!